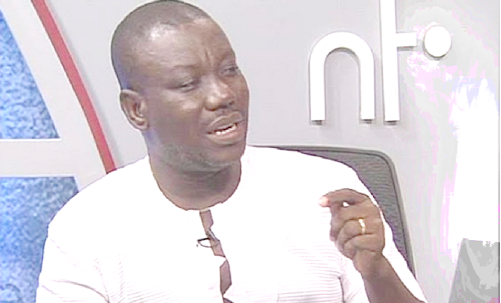 Financial analyst and Member of Parliament for Bolgatanga Central, Mr Isaac Adongo, has asked the government to use the recently rebased gross domestic product (GDP) data to mobilise more internal revenue rather than see it as a yardstick to bloat the country’s public debt stock. He said that was important, particularly at a time when the government was accumulating more debt without regard to how it intended to service it in the future. In a statement copied to the GRAPHIC BUSINESS, the MP said rather than use the expansion in the economy that resulted from the rebasing to mobilise more revenue, the government had been deceived into thinking that the rebased economy provided more fiscal space to take on more debt. This is not prudent, he said, explaining that it risked leading the country and the government in particular into what he described as a ‘a debt trap’. His statement was released on January 28 in response to the country’s debt statistics released by the Bank of Ghana (BoG) on January 26. The data showed that the national debt stock had grown from GH¢139.3 billion in November 2017 to GH¢175.9 billion in November 2018. This meant that the country had added some GH¢33.6 billion to the national debt stock within the period. The BoG data showed that of the additional amount, GH¢9.8 billion were bonds issued to cover the gap between liabilities and assets assumed by the Consolidated Bank Ghana (CBG) Limited and GCB Bank under the banking sector clean-up exercise. “It suggests that while our neighbours are mobilising 20 to 22 per cent from their national income to support development of their countries for current and future generations, we are sleeping on this income with an average of 16 per cent of mobilisation of national income to support development,” he stated. “The government does not seem to know that expanded GDP is only relevant if you can mobilise a significant part of it for development. Rather, they have resorted to using it to promise the world that our incomes are increasing and we have found new income so lend us more money for our children, the future generation, will find a way to mobilise that money to pay the lenders. This is unfortunate,” he added. He said what was even more painful was the fact that these loans were not being invested in the infrastructure which would benefit the future generation but rather consumption. “This borrowing spree has been motivated wrongly by the enhanced GDP, which ensures that the large debt is still lower in percentage terms to the rebased GDP.No wonder the government finds comfort in pointing to a ‘lower’ debt-to-GDP ratio as reason for comfort, however, deceptive,” he added.